Kashid is a small beach town in the Indian state of Maharashtra. It is situated in Konkan region of the state and is just 30 km away from Alibag and 135 km from Mumbai. Adorned with lush-green Mountain, white sand of beautiful beaches and blue sea, Kashid is popular tourist destination in the state of Maharashtra. Konkani and Marathi are widely spoken languages in the region. October to June is the best time to visit Kashid. Places of interest: Kashid houses many places of attraction in and around it. The prime attraction of Kashid is its beach. Its white sand, majestic view of Arabian Sea makes it beautiful place to spend evening. Blue water, beautiful mountains, lush greenery makes it a must visit place. Phansad Bird Sanctuary is one of them. It is spread over an area of about 52 sq km and is home to large number of amphibians, mammals, insects etc. it is an ideal place for nature lovers. Data Mandir is important place of worship in Kashid. This red –domed temple is located on a hill top. The temple also offers wonderful views of Murud-Janjira and the fascinating costal area surrounding it. Revdanda Beach fort is one of remnant legacy of Portuguese in India. It is in ruined conditioned now. Still it is very fascinating place to visit. 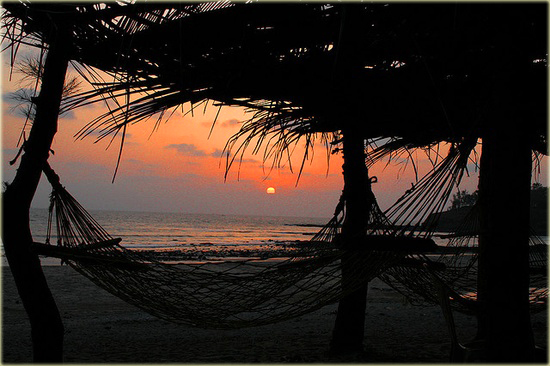 Prakruti Resort and Kashid Beach resort provide the accommodation facility to visitors. Apart from these luxury resorts local people also gives their make shift shacks and room on rent to tourists. Festival of Ganesh Chaturthi is celebrated with much pomp and show. It is celebrated for ten days and during the festival many social, cultural and religious programs are organized. How to reach: Several state run buses and other private vehicles like cars and luxury buses connect it to Mumbai, Alibag, Pune and many other cities and towns of the state. Chhatrapati Shivaji International Airport at Mumbai is closest one to Kashid. The airport is well linked by several domestic and international flights to other major cities of India and other countries. Roha railway station is nearest to Kashid. It is about 122 km away and well connected to other cities and towns of the state.